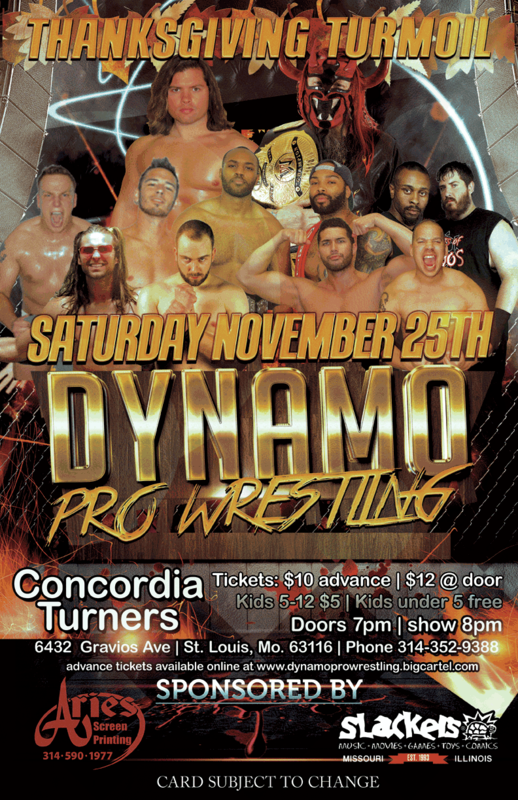 Posted on November 21, 2017, in Misc and tagged Aaron Dzinic, Adrian Surge, Aries Screen Printing, Brandon Aarons, CJ Shine, Computer Specialists, Dynamo Pro Wrestling, Elvis Aliaga, Frodo The Ghost, High Level Enterprise, Jackal, Jaden Roller, Justin D'Air, Keon Option, Makaze, Missouri, Press Release, Pro Wrestling, Slackers, St. Louis, Thanksgiving Turmoil, The Agents Of Chaos. Bookmark the permalink. 1 Comment.